Day 49: Trés Leches Cake! I love trés leches cake so much, honestly. I first fell in love with it about five years ago at a hotel in Mexico City. This was my first attempt at making it and I think it turned out pretty well! I found this recipe surprisingly easy. 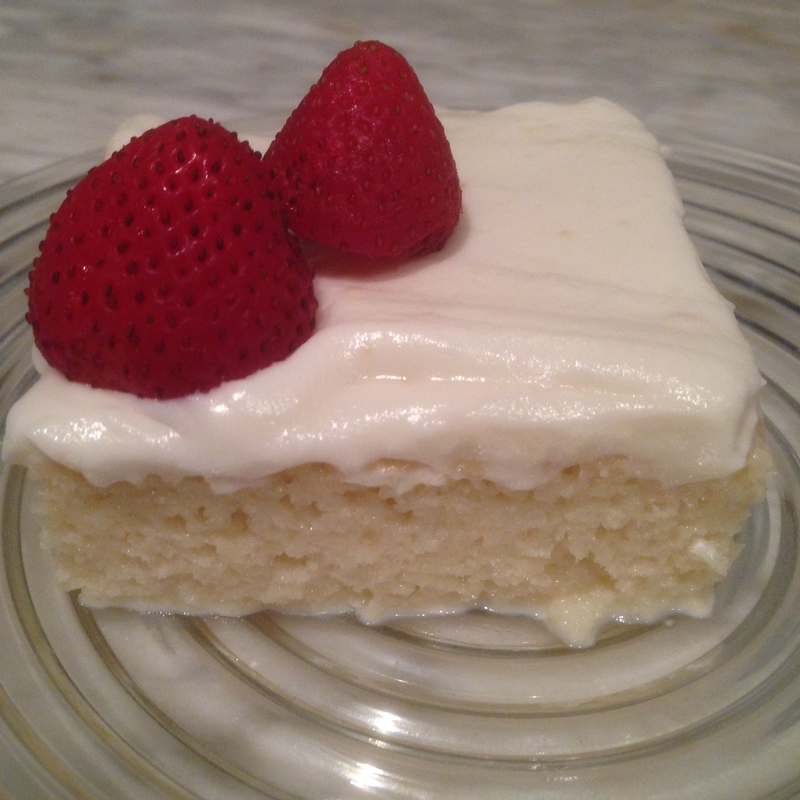 Basically, you make a yellow cake and then soak it in your milks, finishing with whipped cream. To start, sift your flour and baking powder into a bowl. Preheat your oven and grease and flour a cake pan. In another bowl, whip together your butter and sugar until fluffy and light. Add your eggs in one at a time, beating well between additions. Stir in the 3/4 tsp vanilla extract and gradually combine the flour mixture to the wet mixture. Pour into the prepared pan and bake for about 30 minutes. While the cake bakes, combine your milk, evaporated milk, and condensed milk well. In another bowl, whip your cream, 1 cup of sugar, and a teaspoon of vanilla extract until stiff peaks form. Remove the cake from the oven and cool for about 10 minutes. Then, using a toothpick, poke small holes deep into the cake all over the surface. 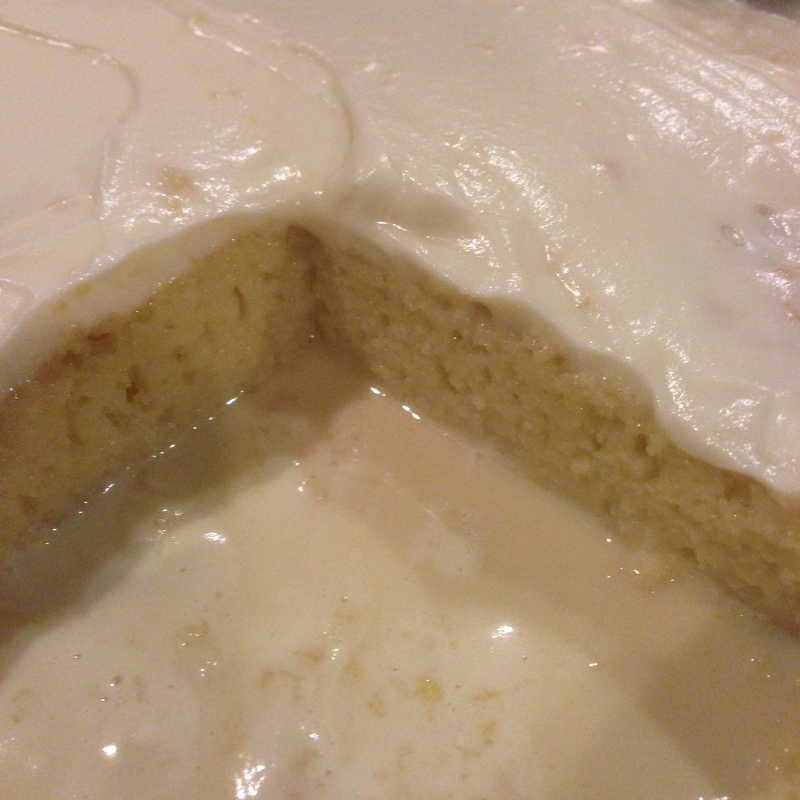 Pour your milk mixture over the cake slowly, allowing time to fully saturate. Once soaked, spread heavily with the whipped cream. I served with fresh strawberries on top! Be warned- this is super rich and quite sweet, but it’s delicious and kind of addicting. Obviously, it’s super moist, but surprisingly light for all of the saturation! Definitely making this one again. Love it!! *Has a foodgasm and squeals with delight! !